The Australian Research Council Centre of Excellence for Geotechnical Science and Engineering is holding a showcase on Monday 30 July and technical workshops on Tuesday 31 July 2018. This Showcase will present research outcomes resulting from 7 years (2011-2017) of Australian Research Council support. 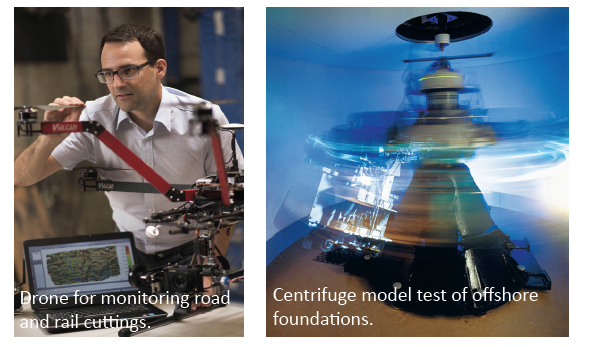 Through advanced laboratory testing, physical modelling, full-scale field testing and cutting-edge computational algorithms, the CGSE has developed new science-based tools for designing safer and cheaper energy and transport infrastructure such as roads, railways, port facilities, pipelines, mining operations and offshore oil and gas facilities. This event will highlight industry-focused outcomes of national benefit, including innovative scientific design techniques, cutting-edge analysis software, and new industry guidelines.